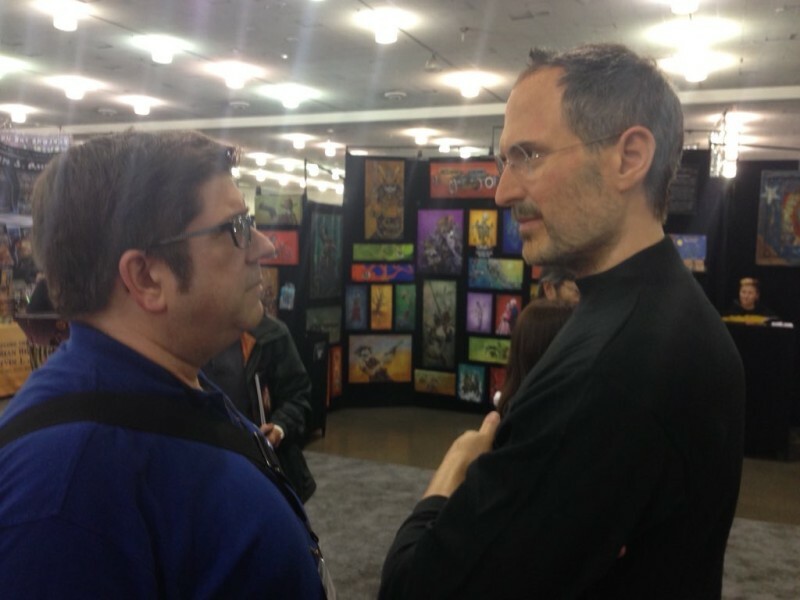 Sal Pizarro and I were talking as we entered the Exhibit Hall for Silicon Valley Comic Con. We both had similar childhood memories of wax museums — parents taking us to the Hollywood Wax Museum, and how we’d gawk at the Christopher Reeve standing as Superman in the Fortress of Solitude. I remember most the air conditioning, and how I thought that wax figures had to be kept cool at all times. It felt like we were at a distance from figures when we were kids. And then at one point, suddenly, it was all about getting expensive Polaroids taken with them. 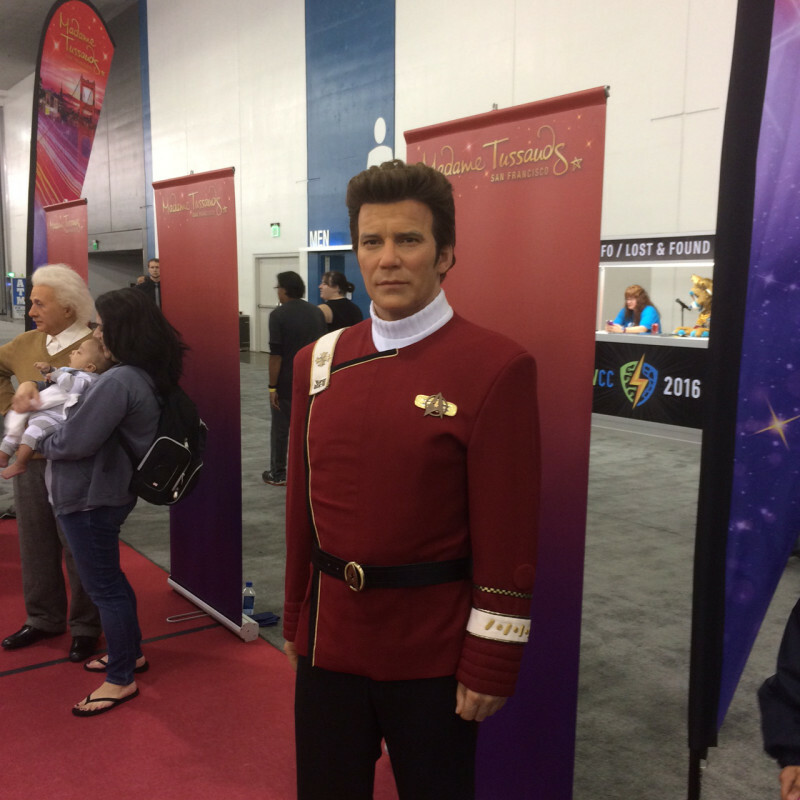 And here it is at the Silicon Valley Comic Con: you enter, turn a corner, and there are figures to inspect from all sides, take selfies with, and, inevitably, discuss how accurate they are. Courtesy of Madame Tussaud’s, the display is small. Even bringing down figures from the museum in San Francisco, transportation must be difficult and careful. 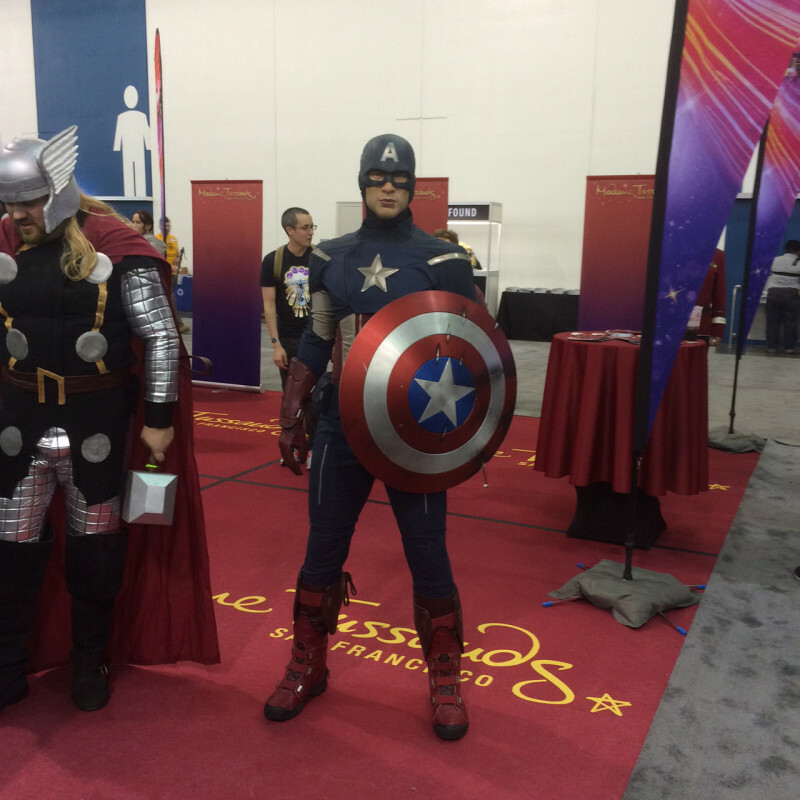 The reality also is that though SVCC is exponentially bigger than Big Wow! Comic Fest was, the exhibit hall doesn’t have that much more realty than it had last year, and it looks like organizers have tried to leave space for crowds to move freely. So it’s only a few figures; each one ties together the larger theme of the Con, which isn’t so much comics, but all the things that people nerd out over. So you have Steve Wozniak’s Apple co-founder, Steve Jobs, probably the best figure of the bunch. 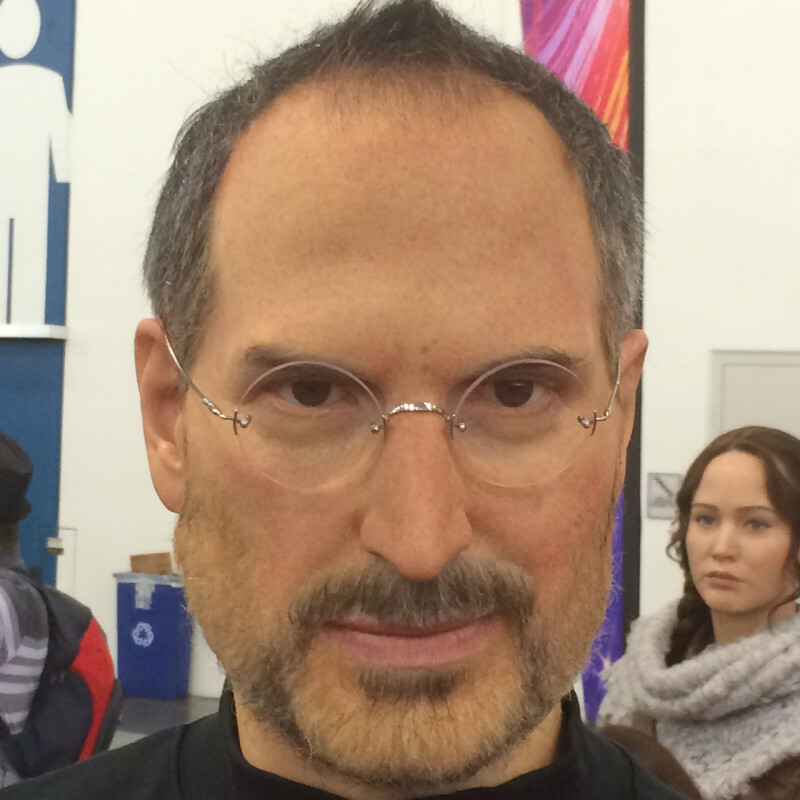 A prankster in his younger days with Woz, Jobs would probably appreciate that people were walking around convinced that he was going to come to life and grab them. The figure that faces people walking in is Chris Evans, garbed as Captain America. Appearing slighter than in the movies, it’s also probably a pretty accurate figure — the camera adds ten pounds, and in Evans’ case, that’s ten pounds of pure moral fiber and All-American muscle. 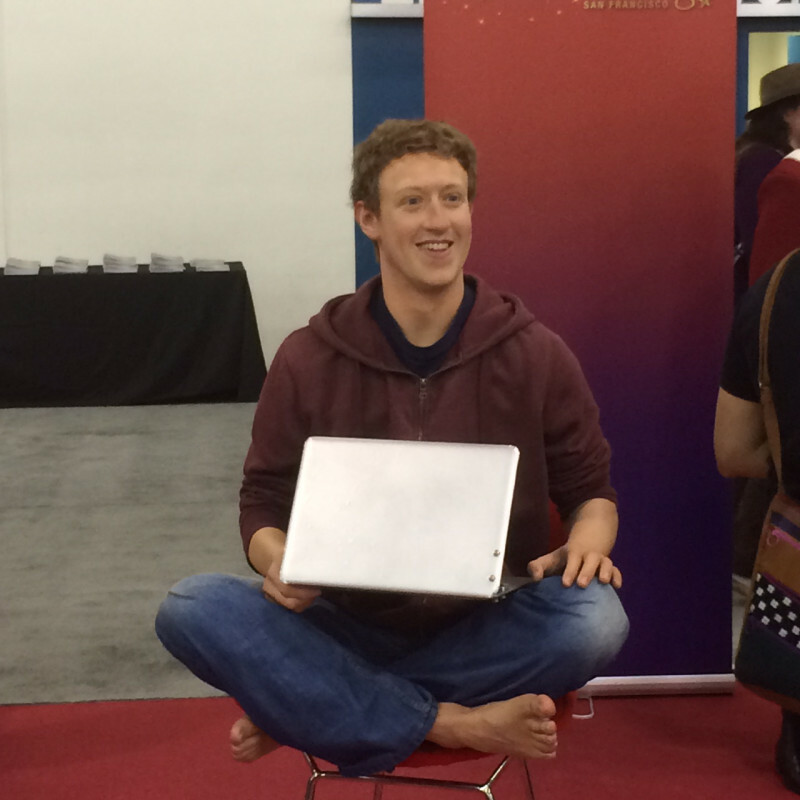 And we couldn’t talk about Silicon Valley without another one of the men who rule it; Mark Zuckerberg holds court in another pretty accurate figure. 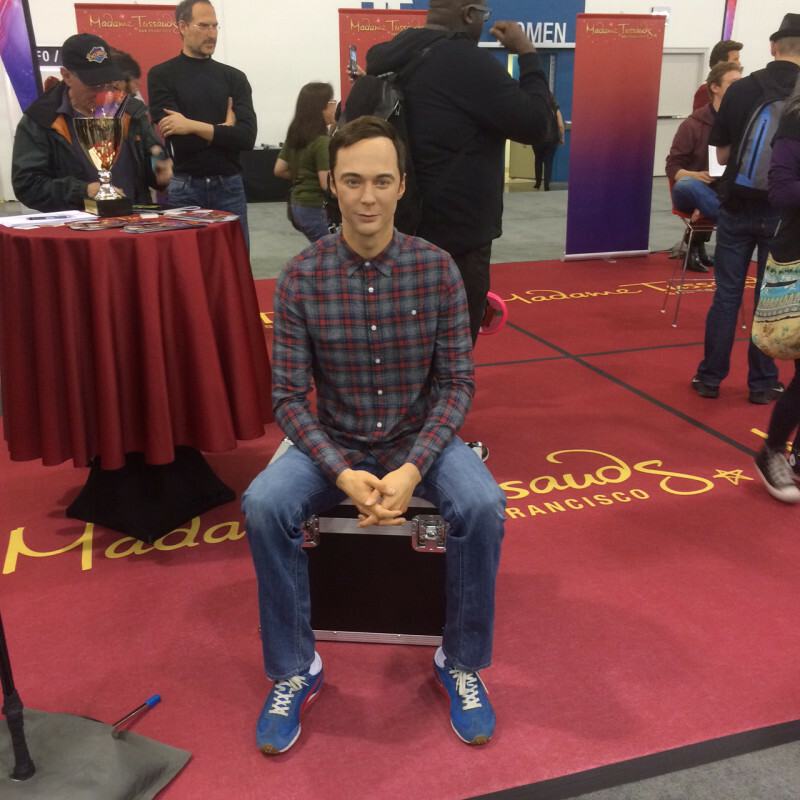 As Sheldon from The Big Bang Theory (which will have a panel of writers later today), the Jim Parsons figure looks casual, but your results may vary. I’d have to imagine Sheldon would love having this figure on the couch so he could have someone who understands him. 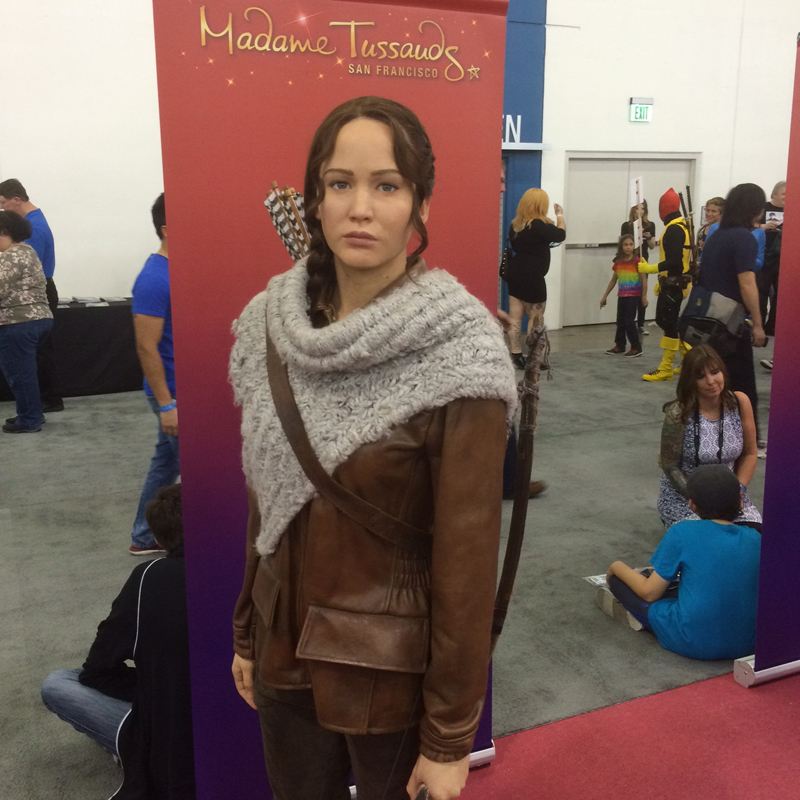 Jennifer Lawrence has a figure, taken from her performance as Katniss Everdeen in The Hunger Games. It’s a pretty close likeness, definitely capturing Lawrence’s intensity. 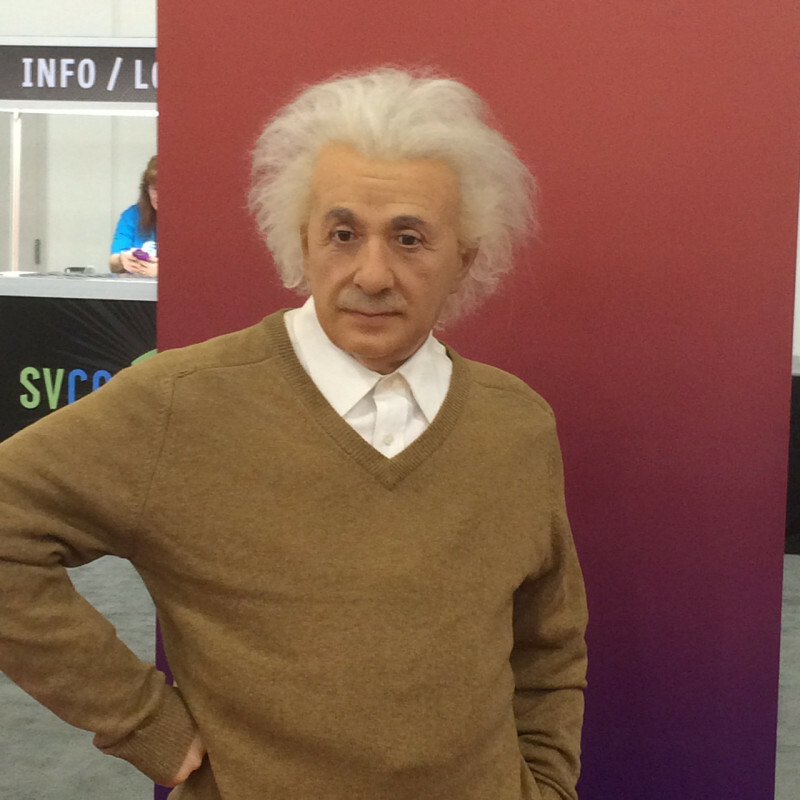 Saturday, the museum unveiled a figure especially for the convention, though we can assume that it’s going to take a place of honor next to the Steve Jobs figure. 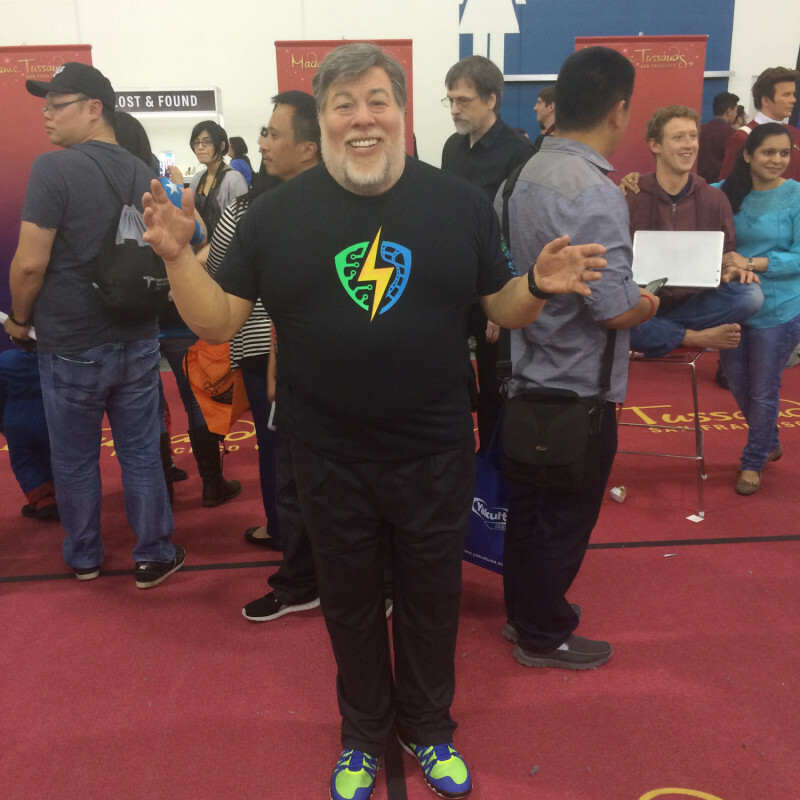 Garbed in the Silicon Valley Comic Con 2016 t-shirt, it’s Woz himself, and it’s almost disturbingly spot on. 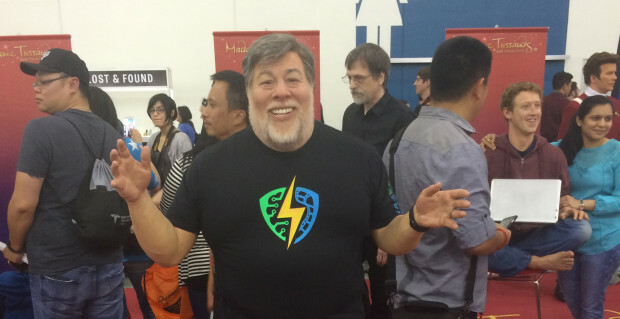 That’s Steve Wozniak’s openness and general optimism, right there in wax. And I further mused, this was another childhood memory: Madame Tussaud’s seemed so far away when I was a kid. I’m old enough that it wasn’t in San Francisco or Hollywood; instead, the closest museum was in Vancouver, Canada. The world has gotten smaller. For a convention like this, it’s cool to see a display of some of the heroes and visionaries that have worked to make that small world a slightly better place. If you want to check out the museum in San Francisco, it’s on Fisherman’s Wharf, paired with an experience called “The San Francisco Dungeon,” at 145 Jefferson Street. Their website is here. I’m thinking I’ll be going soon, to build a few new memories. Sal, want to go?